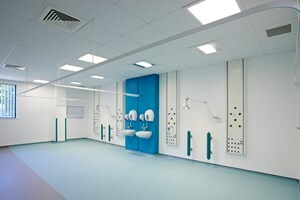 As part of the East Herts Trusts Redevelopment project ‘Our changing hospitals’ worth around £100m, W. Portsmouth were awarded the Electrical Installation Contract for the New Ward Block. 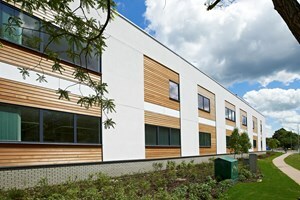 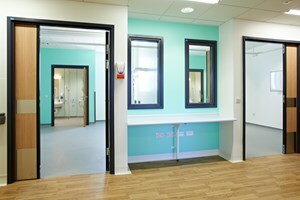 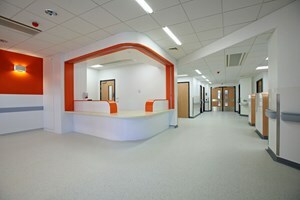 The New Ward Block project provided space for over 62 beds for acutely unwell patients. 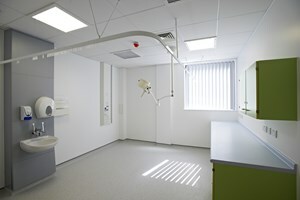 One of the key features included single en suite rooms for around half the beds on the ward. 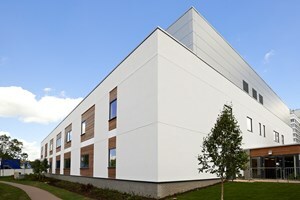 W. Portsmouth played a key role in the build providing the Electrical Services throughout the building, this included Specialist Bed Head services, Intelligent Lighting Control systems, ‘Patient to Nurse’ Call systems, Security systems (CCTV and Access Control), Mains LV Distribution, general Small Power, backup UPS systems and IPS systems to critical care locations.